This design was given to me by Marcia Kim, a friend who does cloth squares. I see it as a block of “movement and light.” The square is mounted to the barn owned by Layton and Smith families of Whips Cove and my parents, Clem and Anna Smith, for over 100 years. I now own the barn and use it for storage, work area and recreation for family and friends. It sits on 15 acres which was part of the family farm of 320 acres. The family had dairy cattle, pigs, and chickens and they worked the ground. Bob, my deceased husband, and I loved looking at God’s beautiful sky. We taught this love to our daughters and their families. 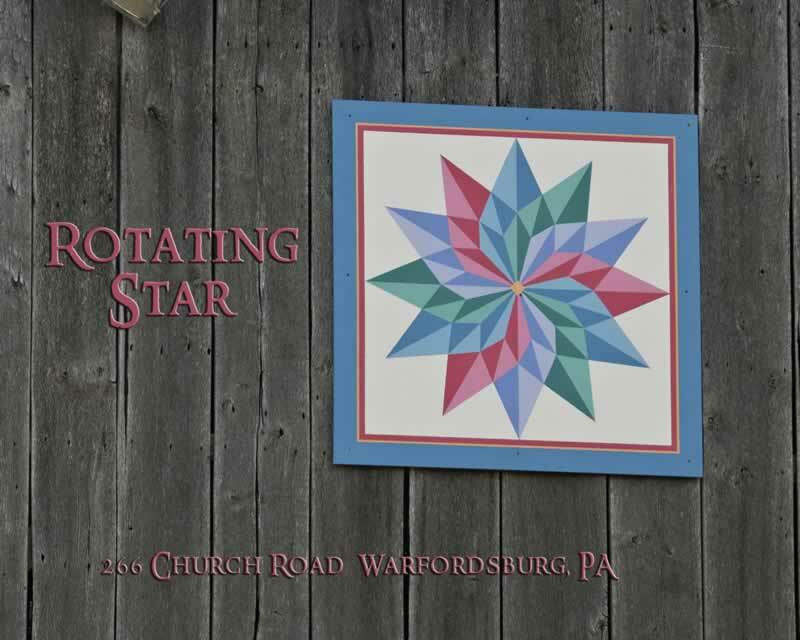 So, to receive a block titled “Rotating Star” was wonderful!! Enjoy as much as my family does.